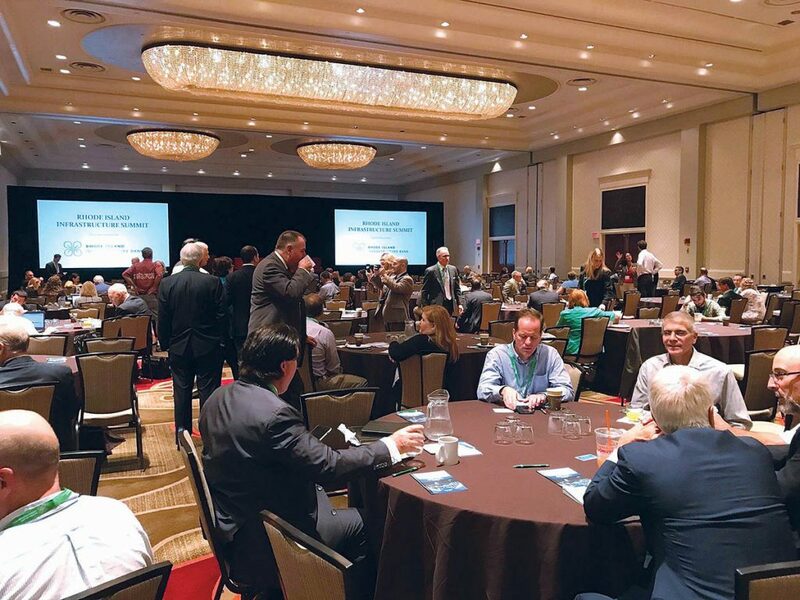 TALKING INFRASTRUCTURE: Attendees have conversations with one another during last year’s Rhode Island Infrastructure Summit at the Omni Providence Hotel. This year’s summit, hosted by the R.I. Infrastructure Bank, will take place Monday, Sept. 17, at the R.I. Convention Center in Providence. x / growth since 2011.